I’ve been facilitating meetings with instructional coaches who are planning the focus of their work for the year in connection to their school’s improvement plan. I begin by having them review the student achievement goals and the degree to which the staff is united to reach those goals. Next we identify the needed student behaviors and the teacher actions most likely to gain those student behaviors. It is critical that teachers and leaders are focused on generating these student behaviors as the purpose of the teacher actions that are being implemented. I was working with a system that realized they were requiring a teacher behavior of “presenting the learning objective to students” without ever identifying the student behavior that the practice was trying to gain. Recently I was working with PLC leaders who were facilitating decisions about PD the teams would take part in before clear goal results for student achievement had been identified. 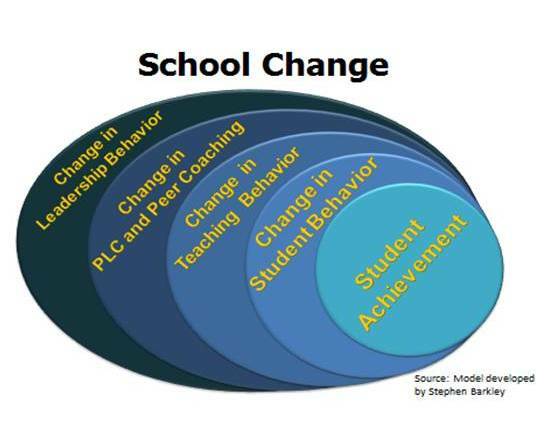 Once you have reviewed the teacher and student changes you are planning for, you are ready to plan the principal and coach leadership behaviors. When planning backwards you get to leadership behaviors last: when starting the improvement process, you begin implementation with those leadership behaviors. In the first weeks of school what would you see instructional coaches and principals doing? What would you hear them saying? What messages are the staff drawing from leadership actions? 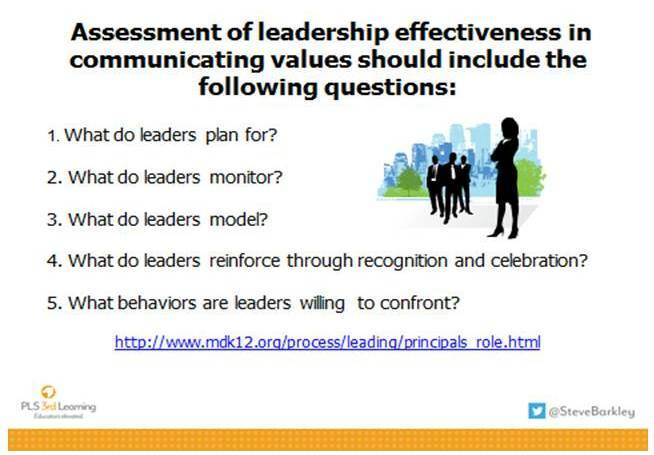 What are the questions that leaders are posing in their formal and informal conversations with teachers? How would a teacher know that the school improvement plan goal of raising the academic success of ELL learners is more than a written goal on the form submitted to the district office? 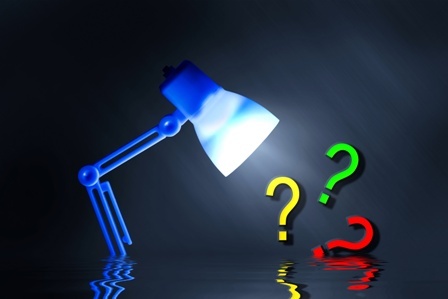 Here are starter questions for the first four-week check- in conversation of instructional coaches and building administrators: What leadership actions have we purposefully taken in this first month to communicate, initiate, and support the changes needed in staff to gain our needed changes in student learning production behaviors? What unplanned/spontaneous actions provided reinforcement? Are there any unconscious decisions/actions we took that may have communicated a conflicting or incongruous message? What purposeful actions are we planning for the next month? The administrative/instructional coach partnership should now create a list of evidence indicators that would signal their leadership behaviors are creating the desired teacher changes. #1 – PLC, grade-level, department, faculty and coaching conversations with and among teachers indicate a focus on the targeted plan. #2- Changes are evident in teachers’ plans. #3- Classroom observations and walkthroughs indicate change in teacher practice. #4- Classroom observations and walkthroughs indicate change in student learning production behaviors. #5 -Indicators of increased student learning are evident. To what extent do all teachers have the knowledge and skills for successful implementation of our plan? What PD, coaching, and collegial support should we be offering? What feedback should we be providing to the staff? What assessments are in place to judge the progress toward our desired student achievement goal? What does the current data indicate? This coach/administrator conversation should lead to the next round of identified purposeful leadership behaviors. Just as teachers use ongoing assessment to inform their instructional and behavioral plans, coaches and administrators should be assessing the presence of the indicators of change.